REST stands for Representational State Transfer. (It is sometimes spelled "ReST".) It relies on a stateless, client-server, cacheable communications protocol -- and in virtually all cases, the HTTP protocol is used. REST is an architecture style for designing networked applications. So many programmers use REST without fully understanding its principles as well as its constraints. Here I'll give you a brief overview of the 6 constraints REST is bound by. Aside from the description above, HATEOS also means that, where necessary, links are contained in the returned body (or headers) to supply the URI for retrieval of the object itself or related objects. We'll talk about this in more detail later. 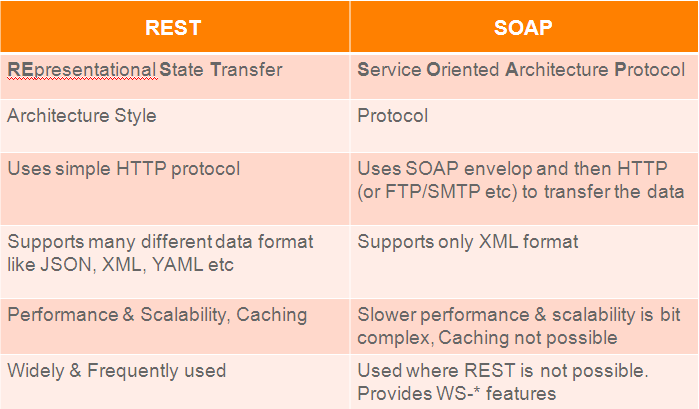 The uniform interface that any REST services must provide is fundamental to its design. As REST is an acronym for REpresentational State Transfer, statelessness is key. Essentially, what this means is that the necessary state to handle the request is contained within the request itself, whether as part of the URI, query-string parameters, body, or headers. The URI uniquely identifies the resource and the body contains the state (or state change) of that resource. Then after the server does it's processing, the appropriate state, or the piece(s) of state that matter, are communicated back to the client via headers, status and response body. Most of us who have been in the industry for a while are accustomed to programming within a container which provides us with the concept of “session” which maintains state across multiple HTTP requests. In REST, the client must include all information for the server to fulfill the request, resending state as necessary if that state must span multiple requests. Statelessness enables greater scalability since the server does not have to maintain, update or communicate that session state. Additionally, load balancers don't have to worry about session affinity for stateless systems. So what's the difference between state and a resource? State, or application state, is that which the server cares about to fulfill a request—data necessary for the current session or request. A resource, or resource state, is the data that defines the resource representation—the data stored in the database, for instance. Consider application state to be data that could vary by client, and per request. Resource state, on the other hand, is constant across every client who requests it. Ever had back-button issues with a web application where it went AWOL at a certain point because it expected you to do things in a certain order? That's because it violated the statelessness principle. There are cases that don't honor the statelessness principle, such as three-legged OAuth, API call rate limiting, etc. However, make every effort to ensure that application state doesn't span multiple requests of your service(s). However, using COD reduces visibility, which is why this constraint is optional. Also, not every API needs this kind of flexibility. 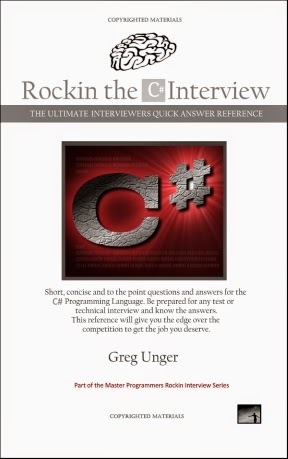 The article is very good quality.I would recommend this knowledge very well.